The St. Petersburg YoYo School dropped another tutorial, but with new freeze-frames and written instructions! Check out their tutorial for the trick “Shadow Raccoon”. Check out this new tutorial from the St. Petersburg YoYo School for the trick “Rainy Panda”. Filmed between the Kazan Cathedral columns in St. Petersburg, Russia! We’ve got another tutorial from Russia’s St. Petersburg YoYo Club, this one for a trick called “Palm-a-Loop”. We’ve got a new tutorial video from the St. Petersburg YoYo School for an original trick called “Sunny Muskrat” that looks pretty fun. Check it out! 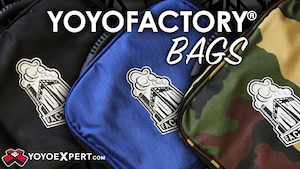 Here’s another grip of videos from the folks at the St. Petersburg YoYo School! 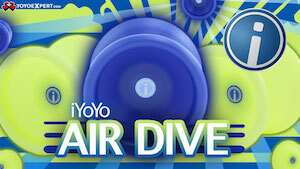 The Russian YoYo Association posted a great write-up with a TON of pictures of the 2013 Summer Aero-Yo Fest. Looks like another great Russian contest! July 13 at Luzhniki was OK SUMMER AERO-YO 2013 FEST! Feast visited many outdoor enthusiasts and games that develop focus, coordination, dexterity and imagination. Also during the festival was «Moscow city games», combining different types of street sports, from wakeboarding, streetball, parkour, BMX, and much more, finishing fingerbordingom and freestyle motocross. Was no time to get bored! The most widespread competition was the fight for the top places on the game with a yo-yo. 57 participants competed for the title of the winner in the category “Amateur” and the «PRO». Young athletes have received wonderful gifts from our sponsors: Lonpos, Frisbee, Kendama, Yo-Yo, Anti Petank, backpacks «Grizzly» and more. And fans of calm and thoughtful games could without leaving the table, try to collect any puzzle and reveal the magic curtain and try yourself as a wizard. Due professionals every guest of the festival could learn a few seconds to collect any of Rubik’s Cube!Invited to learn the most advanced Lonpos and Story Cubes. Everything could find entertainment in the spirit, and even the scorching sun could not prevent spectators and participants to spend time with pleasure. Here’s a great glimpse at the first yoyo / kendama event in Belarus, thanks to a full report from Demmik at the Russian YoYo Association. The level of play is what we’d consider “up-and-coming”, and we’re really looking forward to seeing these players their scene continue to grow. NOTE: the article below was translated by Google Translate, and then I attempted to edit it a bit to clean up the English…my apologies in advance if any of the information is off! 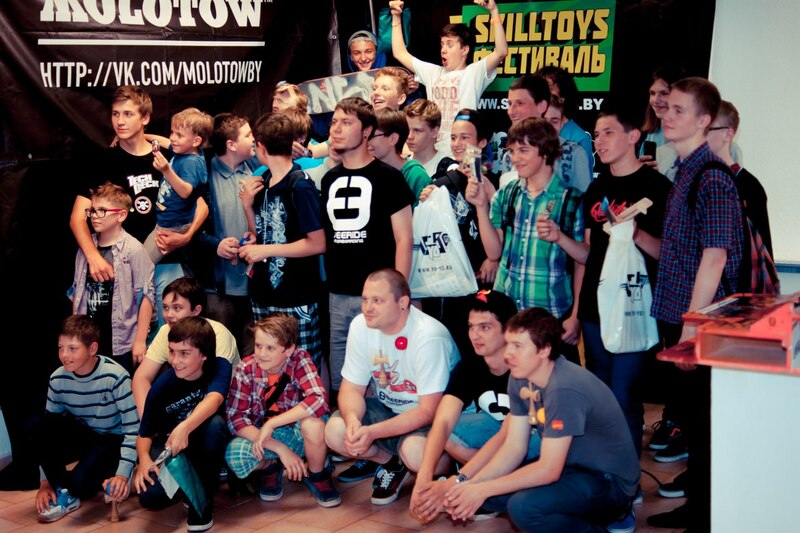 The long-awaited Belarus Skill Toys Festival has taken place in Minsk! For two days, despite bad weather, players from Minsk, Gomel, and other cities met up at the Museum of Modern art, where the festival was held. 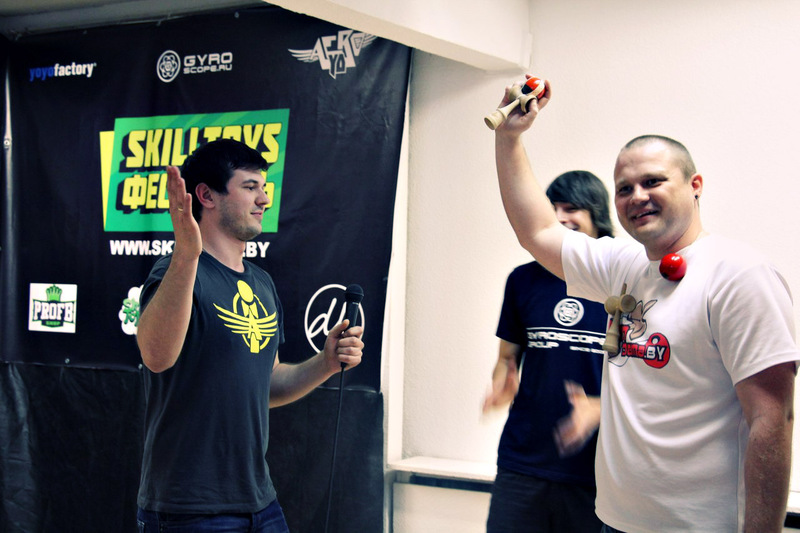 The main event organizer was SkillToys.by, a group that has been working towards developing yoyos and other skill toys in Minsk since 2011. The first day of the event was devoted entirely to kendama and yoyos. Competitors performed for a panel of judges from Moscow’s RAYY (Russian Association of YoYo) including Stepan Kosintsev, Mikhail Dementyev, and Moscow Kendama Challenge winner, Andrew Duchesse. The festival began with the kendama competition. The Challenge was won by Sergey Nikolaenko from Minsk! And Alexander Abramov from Gomel won the Best Trick competition, and received a commemorative kendama, hand-painted in the colors of the Belarus flag. Sergey Nikolaenko from Minsk won the Kendama Challenge. Alexander Abramov wins the Best Trick Contest in the kendama division. The next competition was a 1A Ladder competition, won by Sergey Nikolaenko, with Ilya Babaev in 2nd Place and Timur Kahanovich in 3rd Place. Then came the 1A Freestyle competition..results and video below! The winners got prizes from sponsors – Gyroscope GROUP , AERO-YO and YOYOFACTORY . For other yoyo-related video presentations, visit the channel of Vadim Golub. More photos from the 2013 Belarus Skill Toys Festival can be seen at the club museum. June 2, 2013, from 15.00 at Volgograd, 1st Longitudinal (Lenin Prospekt) ul.Kuznetsova d.26 (remaining Library). The organizers of the festival – the project SkillBox and Gyroscope Group , with the support of the Russian Association of Yo-Yo (RAYY), AERO-YO and YOYOFACTORY . – High-speed assembly NeoCube and more! We are waiting for you on the long-awaited festival Skillbox Fest 2013 – Sea competitions, shows and performances, master classes, new hobbies! If you want to participate in the competition – complete the online application form . Fedor Karpenko brings us this great clip video of the 2013 Amateur Spring YoYo Contest, held recently in Moscow, Russia. Innovation Movement pulls more talent from Russia…amazing. Heads up though, the music is NSFW.